I was on Android at the time. 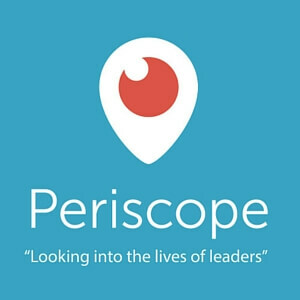 During Social Media Marketing World in April 2015, a bunch of people was on this new app – Periscope. I remember being at a party for the speakers and Cliff Ravenscraft was streaming our conversation live on his iPhone. People were on the app interacting with us via chat. It looked interesting, but I didn’t care too much because it wasn’t available on Android. But on May 26, Periscope launched for Android. I downloaded it and fell in love with the concept of live streaming from a smartphone. Since that day, a lot has happened, and now Facebook has gone all in on the live streaming “movement”. But what does that mean for you and I as bloggers? Before we can fully understand the significance of Facebook live, we should do a brief mini-history lesson. Live streaming is not a new thing. In fact, the first live stream was broadcasted on June 24th, 1993, when a group of technologist from companies like Apple, Xerox, Sun and others broadcasted their live musical performance to the world via the internet. Since then, a lot has happened. As technology grew more and more powerful and the internet got faster and faster, sites like Justin.tv, Livestream.com, and Twitch.tv, and others made huge ripples in the live streaming movement. But 2015 was a significant year. The barrier to entry dropped significantly. With smartphones becoming commonplace and more powerful, the power to live stream was right in our pockets. 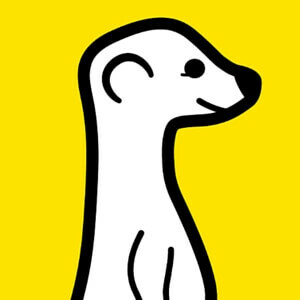 Meerkat: This mobile app launched in February. The app made it easy to live stream from your mobile device and tapped into the Twitter social graph. The result was that whenever you went live, a notification was sent to anyone on Meerkat who followed you on Twitter. This app picked up steam at SXSW in March. Part of the reason for its rapid success is because its access to Twitter’s social graph was cut off on the first day of the event. Everyone wanted to know about the app that Twitter cut off and people started signing up in droves. Periscope: This company was started in 2014 and was originally called Bounty. After raising $1.5 Million and developing the app, they were bought by Twitter in January of 2015. They made the acquisition announcement on March 13th – the same day Meerkat was cut off. The app was officially launched on March 26th (during Social Media Marketing World) on iOS only. The Android version of the app launched on May 26th. It’s tight integration with Twitter helped to fuel its growth. On August 12th, they announced that they surpassed 10 million users. 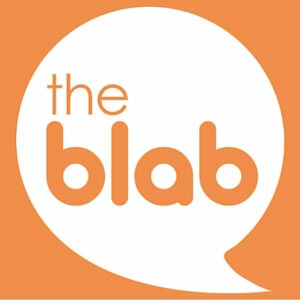 Blab: This live streaming service added something different from the mix. It wasn’t about broadcasting yourself from your mobile device. Instead, it allowed you to do something that other services already did. It allowed for you to do a live stream with three other people. Think Google hangouts, but way easier. Of the three apps mentioned so far, this was my favorite. It isn’t about one person streaming to the world. It’s about a group of people having a conversation. Blab has succeeded to do something that Google hangouts didn’t – it made live streaming for groups of individuals easy. 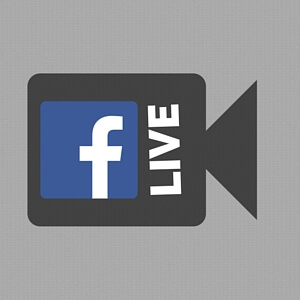 Facebook Live: On July 17th, 2014, Facebook launched the mentions app to enable public figures to talk to their fans. On August 5th, 2015 the ability to live stream was added to the mentions app. The only problem was that if you weren’t a celebrity (or didn’t have a verified Facebook page/profile), you weren’t able to use this app. A lot of people complained that Facebook made a big mistake with this, but I thought it was a very smart idea. If they opened it to all 1.6 billion people, that would’ve been a nightmare. By rolling it out initially only to the people who had large followings, this would increase anticipation and get more people used to the concept. 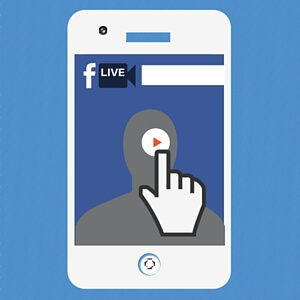 Well, on December 3rd Facebook announced that they would be rolling out Facebook live on iOS to people in the U.S.
2015 was obviously a great year for mobile live streaming. But why was that the case? Smartphones are commonplace and getting more powerful every day. The iPhone started a revolution that has changed the mobile phone industry drastically. Apps like Meerkat and Periscope made it easier than ever. It’s as simple as giving your broadcast a title and pressing “Go Live”. With Periscope integrated with Twitter, it made it easier for people to get followers based on their past Twitter activity. In other words, they weren’t starting over from scratch. Many celebrities were quick to jump on both Meerkat and Periscope, bringing along huge audiences with them. I’ve been on Scopes where Kevin Hart took us behind the scenes of his tour and where Serena Williams was in bed having a chat with her followers and answering questions. The list goes on and on with celebrities like Clay Aiken, Melissa Joan Hart, Kevin Bacon, Mark Cuban, Ellen DeGeneres and many more. 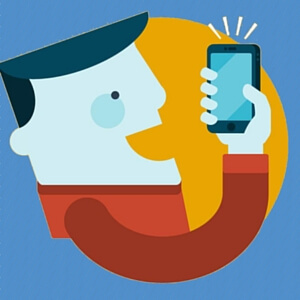 Mobile live streaming gives you a deeper connection than tweets and status updates. This is the key. Never before have we had the ability to be “in bed” with celebrities as they shared what’s on their hearts and minds. Never before were you able to easily take out your smartphone and share your thoughts with people scattered across the globe. Facebook Live is still relatively new, but I believe that it’s positioned for success for one simple reason – it’s on FACEBOOK. To summarize – there’s no bigger social media platform in existence. All of your friends and family are probably on there. When you bring a technology whose time has come to a platform that everyone’s on, you have a recipe for success. Since Facebook live has been rolling out, I’ve heard some people call it a Periscope-killer. Well, I don’t believe that to be the case. I think that there’s room for both. I also believe that it’s good that we have multiple options because they will force each other to improve their respective products. Reach: Facebook has a significantly greater reach with over 1.6 billion members. Periscope has over 10 million members. With this, Facebook is the clear winner, and this is a huge deal. Video Mode: Facebook live videos are square videos. Periscope allows you to use both the portrait and landscape modes. Periscope is the clear winner here. Discovery: With Facebook, your friends can see when you go live. If they subscribe to your live feed, they are notified when you go live. They can also share your videos with their friends. On Periscope, your followers get notified, and they’ve just recently added deeper integration with Twitter so that your followers can see your videos directly in their Twitter streams. Also, they have a section in the app where you can discover broadcasts of people you don’t follow. 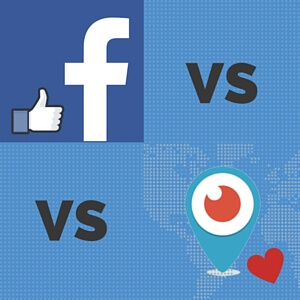 I would say that Periscope wins here, but it also depends on where you have more followers. Social Proof: People are more inclined to do something if they see a lot of other people doing the same thing. It’s called social proof. If you see a video that has been viewed millions of times, you think it’s worth watching. Social networks employ social proof tactics by showing numbers of likes, hearts, shares, etc. Facebook uses the typical “likes” system. This means that you can only like a video once. Periscope uses the “hearts” system, where you can give a video as many hearts as you like. The winner here depends on your preference. You get instant feedback on Periscope, but many people are inclined to game the system. It’s on Facebook. Facebook is my social network of choice. I get the most engagement there out of all the social platforms. Also, I believe that it’s important to focus because you get more done. Instead of trying to be everywhere, I try to be fewer places with more of an impact. There are more people. Yes, I’ve mentioned this a few times in this post, but it’s such an important factor. Most of the people I know are on Facebook, and as a result, I get more engagement there. You can scroll through comments. One of the annoying things about Periscope is that when people leave comments, those comments stay on the screen for just a few seconds and then disappear into the abyss. If you don’t track comments immediately while recording the video, they are lost forever. Facebook allows you to scroll through the comments so that you can see what someone said earlier in your broadcast. The video lives on your timeline. When you do a live stream on Periscope, it stays on your profile for 24 hours and disappears after that. If you don’t download the video to your smartphone, it’s gone forever. 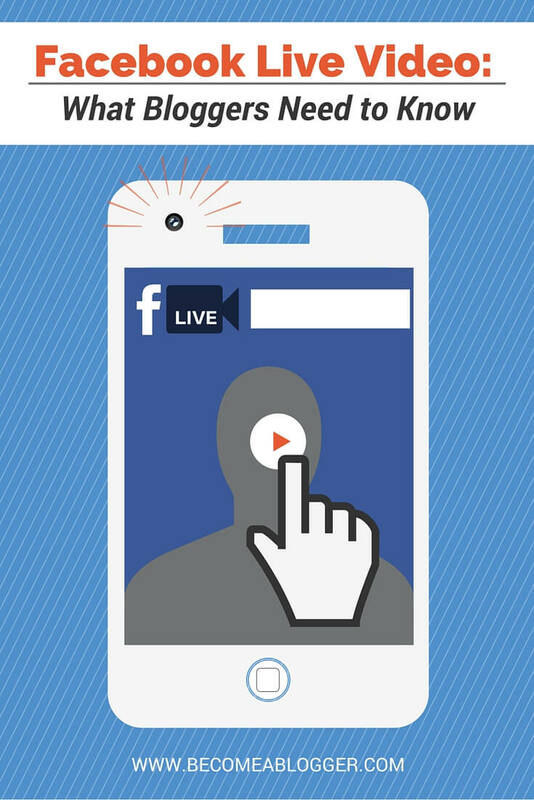 With Facebook live, the video stays on your timeline. This is a big deal because people can engage with your video long after your live stream is over. Also, all of the comments will remain on your video so that you can engage with your Facebook community after the video is posted on your timeline. Real names policy reduces trolling. For better or worse, Facebook has a relatively strict real names policy. This means that people on Facebook are more likely to be there as themselves. Periscope is tied to Twitter, and you can create an account with a fake name very easily. As a result, I’ve seen some terrible things in the comments on Periscope. On Facebook, since your account is more likely to be tied to your identity, there is less trolling. It still exists, but it’s not as bad. You can edit your video info after the live stream. You can change the title, description, and even thumbnail after your video is posted to your profile. If you think about a title that will work better, it’s never too late to fix it. Tap on Status to compose a status update. To subscribe to someone’s live stream, click on the “Subscribe” button while viewing the video. If you are planning on using Facebook Live as a blogger, I have a few tips for you. Plan your content. Because Facebook live is a very easy tool to use, it’s easy to click on “Go Live” and just start rambling. It’s so easy that I’ve done it. While this is occasionally fine, it’s not goal-oriented, and I don’t recommend that the bulk of your live streams be random. As a savvy blogger, you want to use Facebook in a more strategic way. 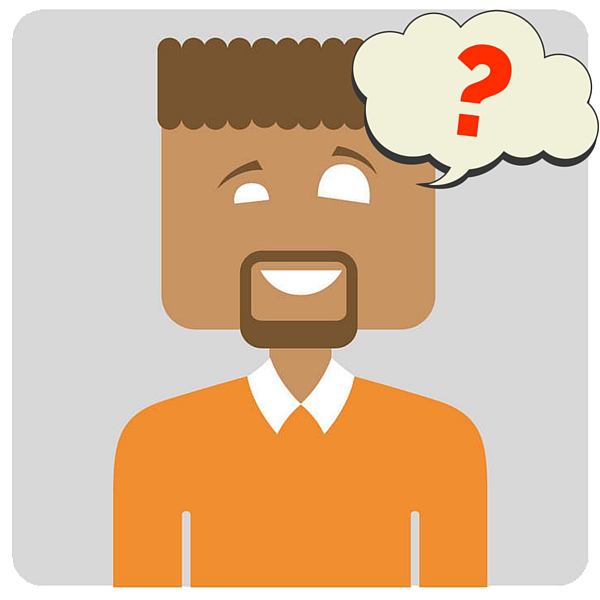 Create an outline of your talking points, so that you can be concise as possible and provide value to your audience. Set a schedule and be consistent. In a perfect world, your audience will be there waiting for you to hit that “Go live” button. To accomplish that, you need to train them by setting a schedule and being consistent with it. For example, I go live every Sunday at 6 pm EST. I know the topics I will cover three months in advance. Broadcast in airplane mode with Wifi on. The last thing you want is for your phone to ring and disconnect your live stream in the middle of a very engaging live stream. Yes, this has happened to me before. Put your smartphone in airplane mode and turn your wifi on. All calls will be sent to voicemail and your live stream will continue uninterrupted. Check your lighting. Make sure you have enough light on your face so that your viewers can see you clearly. This can be accomplished by turning on enough lights in your room, positioning yourself facing a window (depending on the sunlight) or using a more professional lighting setup. Stabilize your video. It can be annoying to watch a video where the camera is moving all over because it’s in your unstable hand. Instead, get a tripod and mount your camera on the tripod using something like the iOgrapher (iPhone only) or some other adaptor. Use and external mic (optional). If you want to step up your game, use an external mic. The mic on your phone is ok, but you will need to make sure your room is very quiet to eliminate distractions. You can choose to use the headset that comes with your phone or get even better quality with something like the Rode Smartlav. Are you into mobile live streaming? Is Facebook live something you see yourself using? If so, how do you plan on using it? Let me know in the comments below. iOgrapher – tripod for mounting your camera on (iPhone use only). Thank you so much Patti. I appreciate the encouragement. Glad you enjoyed the episode. And yes – I’m very interested in seeing when they open it up worldwide. I think that will be VERY interesting. Thanks, Leslie! I’ve been wanting to go live but for some reason my Periscope won’t allow me to sign in. It’s been hijacked. Lol. I’m going to go check now to see if I have Facebook live. I really need this for some things I want to do. Hmm, that’s strange that your account has been hijacked. Not cool. Let me know what you think about FB Live. I think you’ll like it, especially since you talk about your projects on your personal FB account. Great research and post. This is spot on, I am with you and I believe FB will win, but there will always be a market for periscope. Keep up the good work my friend and continue to deliver exceptional value to your tribe. Great piece thanks! One thing are you able to use the headphone input on your phone or say an iPad to use an external mic? Yes, you can, but you need to get something that works with your phone. The Rode Smartlav is one good option. Hi Leslie, which external mic would you recommend that’s not a lavalier? Something for if two people were in the broadcast, or interviewing one another live? Leslie, I would like to know if you know of a good wireless lavalier that works with Facebook live, using an iPhone, iPad, or Macbook laptop? I would recommend the Rode Smartlav mic. I’m not sure if it works with a Macbook laptop, but it does work with iPhones and iPads.